If you write books long enough (and you write more than one) at some point you’re going to find yourself in the position that I’m in right now…which is stuck. 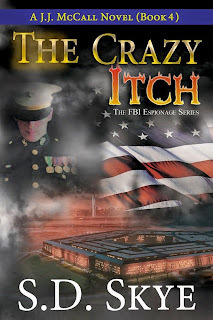 ‘m waiting on my editor to finish the edits on my upcoming romance novel, so my mind isn’t totally free to pursue my next project which is J.J. McCall Book 4 — The Crazy Itch. Meanwhile, I’ve seriously got to get the outline finished so that the second I hit send on my romance, I can seriously dig into writing Book 4. But my brain won’t cooperate. All I’ve been able to write is a general summary of the book’s twist and turns from the beginning middle to the end, but no chapter by chapter break-out. And the December deadline is looming over me like a dark cloud because I’ve only got about 3 months to get the first draft done or it’s not going to be ready on time. Part of the problem for me is that this series is working within two story arcs. There’s one for each book…and how the character and story develop within a single book in the series. But there is also a larger arc that I have to think about because this was always planned to be a 5-book series. In my mind, I really saw Book 3 as the climax, especially because of the explosive last 10 or so chapters of the book. But it doesn’t feel like the climax. Given the plans for Book 4, I really feel like I have to kick it up an extra notch, not only to keep it interesting for the readers but because that’s simply the trajectory this story is on. And this trajectory of taking the story up yet another level has left this poor author confused. After all, there’s only supposed by one more book. Either I figure out a way to bring it back down at the end of book 4 to bring this series to a logical close, I end the series on a cliffhanger–or I add more books so I can bring it to a logical but exciting close. Well, sometimes it really helps to engage in some productive procrastination until you figure out what it is that’s got you stymied. My productive procrastination is reading a book — Story by Robert McKee. 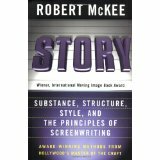 Now, I’ll just say that this book is really geared toward screenwriters but I think some basic characteristics and principles of story and character arc development absolutely apply to writing novels…or at least they should. Why am I reading this book to get unstuck? Well, the thing I really like about this book is it really takes you step-by-step (in sometimes excruciating if interesting detail) through the entire story and character development arc, giving you very explicit explanations (using movies as examples.) about how to determine what motivates your character through the stages of the story. And as I’m reading the book and the examples, almost without fail, I will think of a great way to apply the idea to the structure of my character’s development o r even in terms of how to deepen the plot. And it really works no matter what genre you write it. I mean there are as many examples that apply romantic comedy as there are that apply to thrillers. 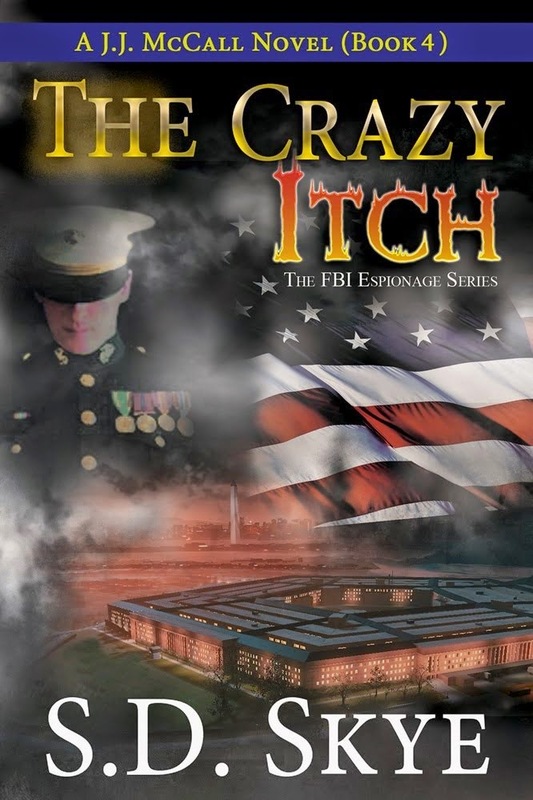 I think it’s one of the reasons that The Crazy Itch may be just about the best book yet out of the J.J. McCall series. Even though I somehow weave together these incredibly complex plots, I’ve got a lot of ideas for how to further deepen the character development and make already compelling characters even more so thanks to this book. It’s a highly recommended read for ALL WRITERS. Yes, it’s long but it’s interesting. Yes, it’s not cheap, but it’s worth it for how much you’ll get out of it. Speaking of which, I’m off to do more reading right now. Do you read books to help you get through mental blocks? If so, share. I’m always on the look out for a new great read about craft.